Beloved husband, father, grandfather, brother, friend, teacher, and artist Paul Douglas Starr passed away at home in Auburn on March 19, 2019 after a long battle with Parkinson’s Disease. Dr. Starr was born August 2, 1942 in Bismarck, North Dakota, and grew up in Stockton, California. He graduated from the University of the Pacific in Stockton (A.B., Sociology) and the University of California, Santa Barbara (Ph.D, Sociology, 1972). Dr. Starr conducted post-doctoral studies at Harvard, the University of California at Berkeley, Oxford and Sussex University. 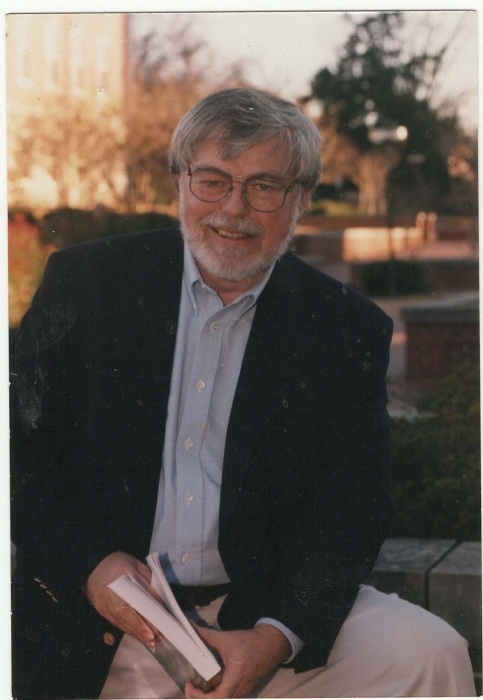 He taught and researched Sociology at Auburn University for thirty years. He also taught at the American University of Beirut (1972-1975), the American University in Cairo (1982-1984), the Semester at Sea Program (1996) and Zayed University in Abu Dhabi, UAE (2000-2001). In Haiti, he led an agroforestry research project through USAID and Auburn University (1988-1991). His passion for travel started early in life. He studied briefly at the Sorbonne in Paris and explored Europe and Asia between undergraduate and graduate school. His world travels and retirement inspired a prolific artistic period in the early 2000s. Dr. Starr produced well over 100 paintings, filled with the things he loved most: light, color, architecture, home, family, and the people of the world. Dr. Starr is survived by his wife, Susan Elizabeth Blair Starr, of Auburn; daughters, Meredith Shay Starr Ericksen of Frederick, Maryland and Kristen Amanda Starr of Auburn; sisters, Marilyn Rae Starr of Sacramento, California and Carol Sue Curtis of Martinez, California; and granddaughters, Elisabeth Karin Ericksen of Boston, Massachusetts, Katherine Blair Ericksen of Baltimore, Maryland and Emma Shay Ericksen of Frederick, Maryland. A memorial and celebration service reflecting on Dr. Starr’s life will be held on Sunday, March 31 at 2 pm CST at Auburn Unitarian Universalist Fellowship, 450 E. Thach Avenue, Auburn, Alabama. The Revs. Diana Jordan Allende and Marti Keller will preside. In lieu of flowers, please send memorial gifts to the Unitarian Universalist Service Committee (UUSC), www.uusc.org, 689 Massachusetts Avenue, Cambridge, Massachusetts, 02139-3302.